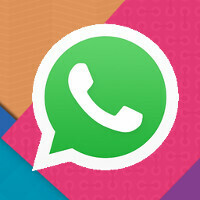 WhatsApp counts 900 million monthly active users, but is growth slowing? According to the messaging app's founder, Jan Koum, WhatsApp now has 900 million monthly active users. The figure was posted on Koum's Facebook site. You might recall that Facebook purchased WhatsApp for more than $21 billion, which was the price by the time the deal closed last October. It was just April when WhatsApp hit the 800 million monthly active users mark. That figure doubled the 400 million monthly users that the messaging app had at the time the deal closed. Earlier this year, Facebook and WhatsApp became the only two non-Google apps to be installed over 1 billion times on Android. Gmail, Google Maps and YouTube were the other apps to hit that benchmark, but those three are owned by Google. Still, it would seem that WhatsApp growth rate is slowing. The 6 months from October 2014 to April 2015 saw a 100% jump in monthly users. The growth over the next four months was a much more pedestrian 13%. Have we seen a saturation point for WhatsApp? A larger sample size using the growth in users from January through August of this year, reveals a growth rate of 29% (700 million to 900 million). The April 2016 numbers will go a long way in showing the true momentum of the app. Keep in mind that WhatsApp is a long term investment for Facebook. The same could be said of the latter's 2012 purchase of Instagram for $1 billion. At the time, that price seemed rather high. But years later, Instagram is one of the most recognizable names in mobile, and the picture-sharing app does run advertisements. How much would Instagram be worth today? It is hard to say, but it surely would take much more than $1 billion to pry it out of Facebook's hands. They just hit the top! The best & defacto IM client.